When I graduated from Pratt Institute 34 years ago I knew everything there was to know about art. As a top student, I had taken lots of courses, visited all the major museums, and knew all the important galleries. For 5 years I had studied art and illustration intensely and I lived in New York City, which was still the art capitol of the world. I was done learning about art! So off I went out into the big world expecting it to embrace my artistic awesomeness. The big world didn’t give a hoot about my awesomeness. I became seriously depressed and didn’t paint again for over 10 years. Slowly, I realized how very little I knew and eventually my ego allowed me to begin learning and living and painting again. Or maybe it’s more accurate to say that my ego was finally beaten into submission. Now I’ve been painting pretty steadily for about 25 years. Sometimes I get acknowledgment (from the world) by way of national awards or big sales, but I know that doesn’t mean that I have arrived somewhere. The most wonderful part about being a painter is that there is no final destination, just lots of exploration. If some of it gets recognition then you have icing on your cake. It’s the cake itself that matters, though. 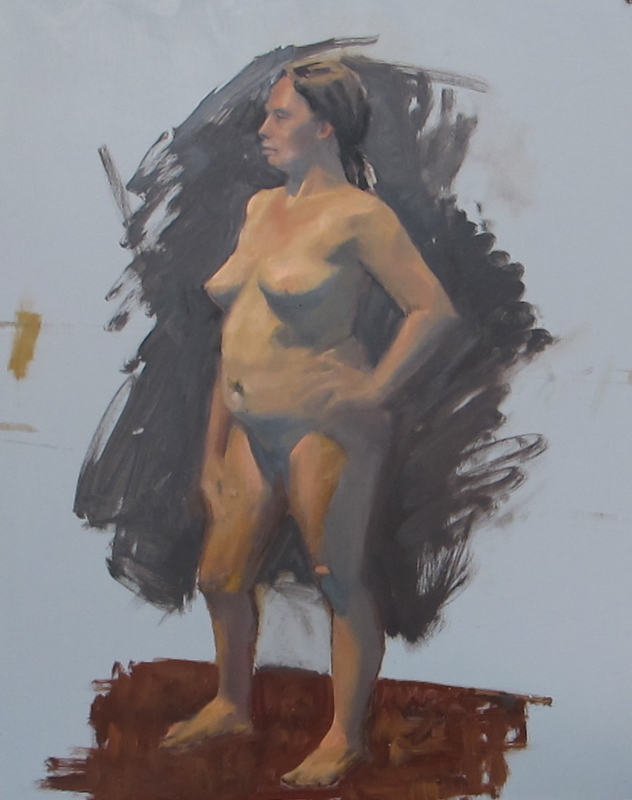 Last week I took a workshop run by Studio Incamminati on figure painting and portraiture. 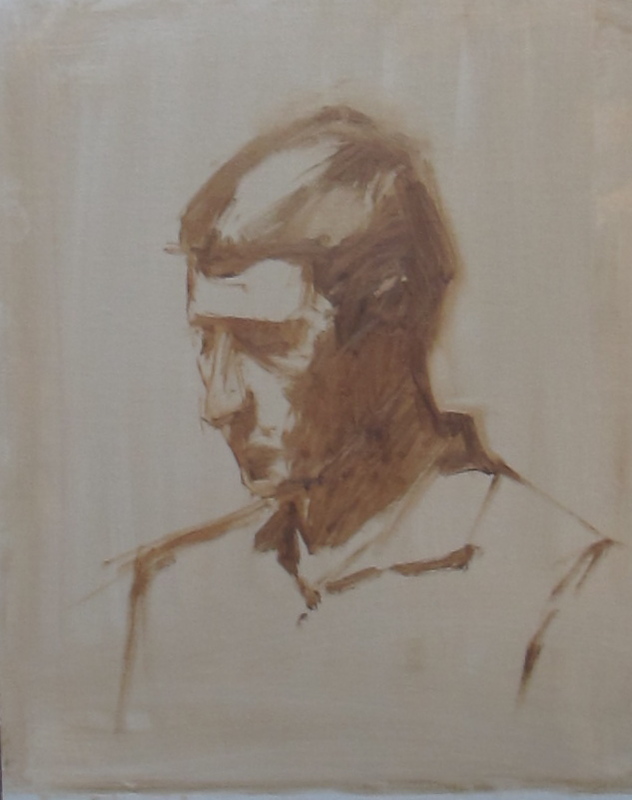 I have wanted to incorporate the figure into my paintings for a while and I wanted to learn a more academic approach to the figure than the way I had learned in the illustration department at Pratt so long ago. 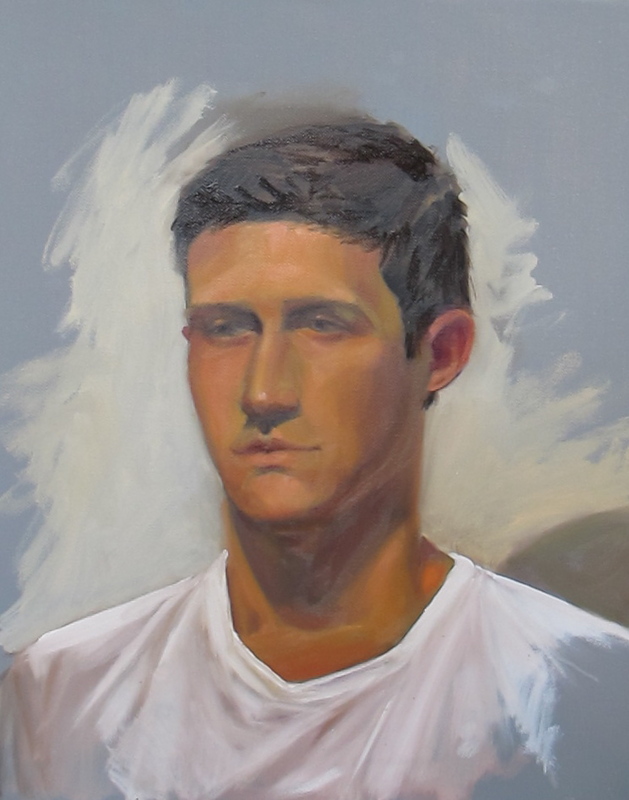 First, make a pretty good mess on the canvas with brown paint marking the important features of the model. Then refine it. Then refine it more. Refine a little more with some color. Then refine the color. Finally, refine it.